Governments these days often boast about the efficiency of their electronic systems. Information communication technologies (ICTs) apparently allow public service to become cheaper, faster and more democratic. E-government has become another buzzword, the shining future of the public realm. Critics claim, however, that ICTs’ potential for democratic renewal is hampered by ancient assumptions of how governments should function. But which viewpoint is nearer the truth? In this original and insightful volume, Vincent Homburg demonstrates how the use, form and impact of ICTs are, in fact, entwined within the socio-political, economic and institutional aspects already established by government and public administration. Evangelical or fatalistic perspectives are discredited to show the different realities in which ICTs play a role in our daily lives. Using case studies and vignettes from throughout Europe and the US, the book analyzes what these new technologies actually do, and how they are screened through varying layers of bureaucracy and convention. This is a timely addition to our understanding of what is meant by e-government. It gets behind the political rhetoric. 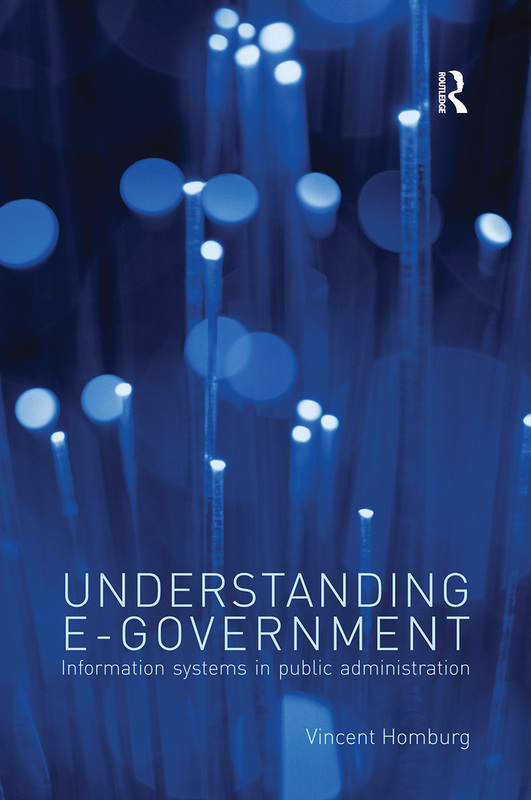 Understanding E-Government: Information Systems in Public Administration will be key reading for all students of public administration, political science, organization theory and information systems.